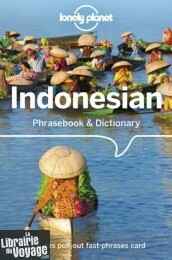 Indonesian, or Bahasa Indonesia as it's known to the locals, is the official language of the Republic of Indonesia. Indonesian, and its closest relative Malay, both developed from Old Malay, an Austronesian language spoken in the kingdom of Srivijaya on the island of Sumatra. Get More From Your Trip with Easy-to-Find Phrases for Every Travel Situation! 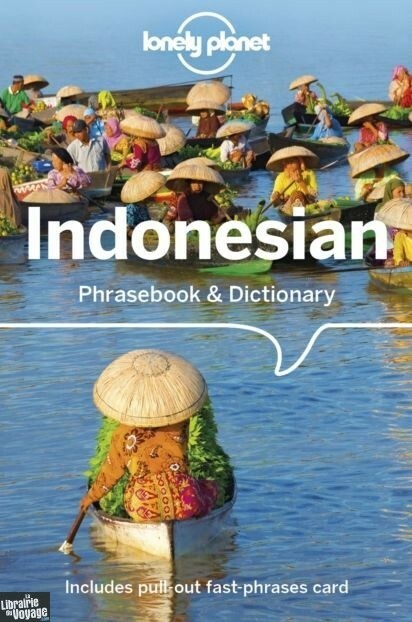 Lonely Planet Phrasebooks have been connecting travellers and locals for over a quarter of a century - our phrasebooks and mobile apps cover more than any other publisher! Order the right meal with our menu decoder Never get stuck for words with our 3500-word two-way dictionary We make language easy with shortcuts, key phrases & common Q&As Feel at ease, with essential tips on culture & manners Coverage includes: Basics, Practical, Social, Safe Travel, Food and Sustainable Travel.